To sign the petition, you can click on this link. On 9 May 2014, the Singapore government had announced that the CPF Minimum Sum would be increased to $155,000 on 1 July 2014. The government increased the CPF Minimum Sum by 4.7% and claimed that they wanted to “maintain its real value” of the CPF Minimum Sum. However, inflation had only grown by 2.4% last year. In addition, since 1997, our real median wages had grown by only 1.9% and the real returns on our CPF is only 0.7%. However, the CPF Minimum Sum had grown by a massive 5.2%, in real terms. This means that not only were Singaporeans able to set aside lesser into the CPF and our CPF monies also grew slower than the growth of CPF Minimum Sum, this means that more and more Singaporeans would not be able to meet the CPF Minimum Sum. 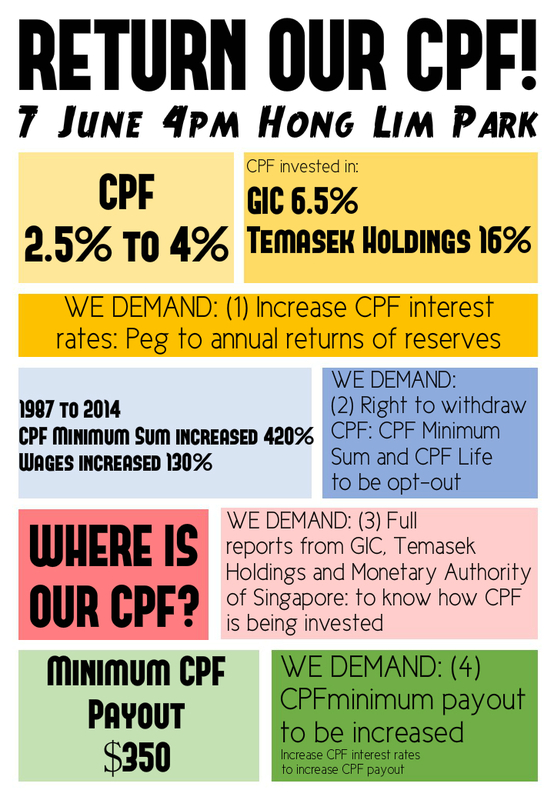 The government claimed that 48.7% of CPF members were able to meet the CPF Minimum Sum. However, this is only for “active” CPF members who were able to meet the Minimum Sum “either fully in cash, or partly in cash and partly via a property pledge”. Thus, it is estimated that if we include “all” CPF members who are able to meet the Minimum Sum “fully in cash”, nearly 90% of Singaporeans wouldn’t be able to do so. We demand that the CPF interest rates should be increased and pegged to the annual returns of the reserves. The CPF monies are invested in bonds which are borrowed to invest in the GIC, Temasek Holdings and the Monetary of Singapore. GIC earns 6.5% in USD terms and the Temasek Holdings earn 16% in SGD terms. However, our CPF only earns 2.5% to 4%. We demand that the interest earned on our CPF be returned (less 1% for administrative charges as is commonly practiced in the other parts of the world). 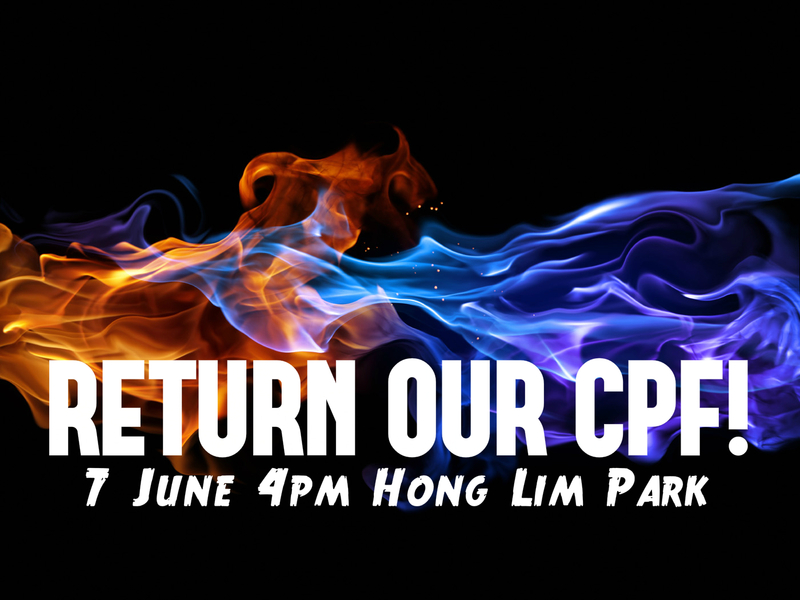 We demand the right to withdraw our CPF and to opt-out from the CPF Minimum Sum and CPF Life schemes. The CPF Minimum Sum has been increased by faster than our wages and the growth of our CPF. As such, we demand the right to withdraw from the schemes if they do not serve our interests. We demand the full reports of the GIC, Temasek Holdings and the Monetary Authority of Singapore to be compiled and published. There is currently no transparency and accountability for how our funds are used by these agencies as they do not publish full reports of their funds performance. We demand that the full reports are compiled and published so that Singaporeans will know how our CPF is being used and accounted for. We demand for higher CPF payouts. It was reported in 2011 that of the 70,000 older Singaporeans who have signed up for the CPF Life annuity scheme since 2009, and of which about 27,000 are receiving monthly payouts, the median payout is only $260. 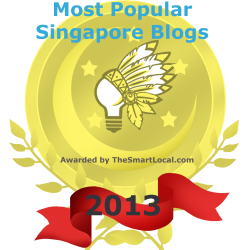 This is inadequate for anyone living in Singapore to be able to support himself or herself respectably. As such, we demand that together with the demand for the higher CPF interest rates, the CPF payouts should also be increased accordingly. As the citizens of Singapore, we demand that the Singapore government accede to the above demands and show full transparency and accountability as to how the CPF of Singaporeans is being used. As it is, Singaporeans have had to choose to die because they cannot afford healthcare and had to sell their homes to fund their retirement. As a First World country where the Singapore government had claimed that, “Singapore cannot be a First World economy with Third World costs” and where Singapore has indeed become the most expensive country in the world, it is wrong that the Singaporeans earn the lowest interest rates on our CPF in the world and Singaporeans have the least adequate retirement funds among the high-income countries and one of the lowest in the world. The CPF is no longer the golden nest for Singaporeans’ retirement and as Mr. Toh Chin Chye had rightfully observed and pointed out in 1984, “the CPF has lost its credibility, the management of it”. In light of the lack of transparency and accountability on the CPF of Singaporeans, we demand transparency and accountability from the Singapore government to acede to the above demands. 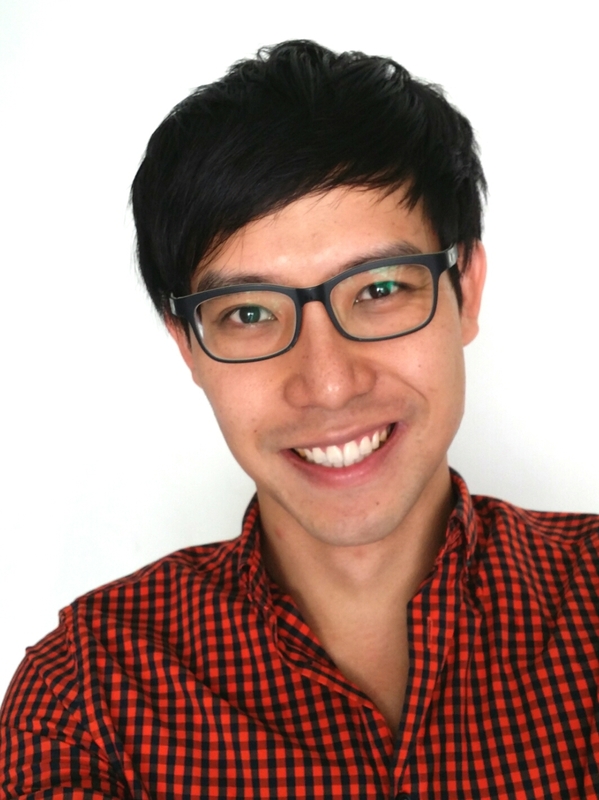 The CPF is the life savings of Singaporeans. It is wrong for any government to deprive its citizens of their hard-earned savings and not account for it. It is time the government perform to its responsibility and account to the people of Singapore. This petition and our demands will be submitted to the government of Singapore. 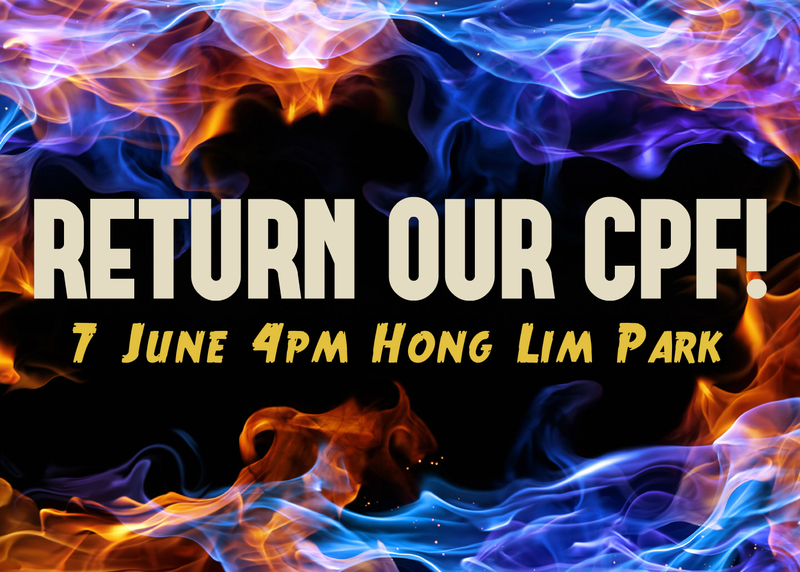 To show the seriousness of how Singaporeans are on the management of our CPF, we will be organising an event on 7 June 2014, at 4pm at the Hong Lim Park to advocate for the return of our CPF to Singaporeans. A government has a responsibility to provide for its people’s basic needs and to protect their livelihoods. As Singaporeans, we demand that the government refocus its priorities of the well-being of Singaporeans and meet the demands of Singaporeans of our CPF. To join the Facebook event page for this event, you can click on this link.